Mykola Khvylovy – pen name of Nicholas G. Fitilov (December 1 (13) 1893, village Trostianets (now the regional center of Sumy region) – May 13, 1933, Kharkov) – Ukrainian writer and organizer of literary life. Nicholas Fitilov was born in a family of teachers. After primary school he entered the Bogodukhiv gimnasium, where he studied until fifth grade. Afterwards (1911 – 1916), he served as secretary in Rublivka volost council (now Velyka Rublivka, Kotelva district, Poltava region). In 1916 he composed the external examinations for the full course of gimnasium and he volunteered for the army, whege he served to the fall of 1917. In early 1918 N. Fitilov settled in Bohodukhiv, where he had served in county government. There he married with the teacher Catherine Haschenko, where their daughter Iraida was born. In the same year he joined the Communist Party of Ukraine. In early 1921 N. Fitilov separated from his family and moved to Kharkov. Here he worked exclusively as a writer by the name of Khvylovy. In the same 1921 his two small collections of poetry were published. But he soon left poetry for prose and journalism. Almost immediately M.Khvylovy began an organizational literary labor. Thus, in 1923, he was among the founding members of the writers' organization "Gart". In 1925 he initiated the establishment of the Free Academy of Proletarian Literature (Vaplite), and in 1930 – the Proletarian literary front (Prolitfront). Please be aware that the term "proletarian literature" (and later the term "Soviet literature") is an euphemism to designate an official pro-government literature, one that enjoys the confidence and support of the government. In a totalitarian dictatorship such support was absolutely essential, without which a literary work was impossible. Consequently, Khvylovy and his mates tried to combine the requirements of the political leadership and the need of creativity. But it soon turned out that creativity is not needed for communis leaders – it is too arbitrary and uncontrolled. In 1928, at the request of the authorities was closed Vaplite, and in 1931 – Prolitfront. Khvylovy was adopted for the All-Ukrainian Union of Proletarian Writers – the only literary organization tolerated by superiors, but there he was unnecessary and dangerous. His many applications (including in his works of art) that he loves Soviet Socialist Ukraine, were not taken into account and did not bring any benefit to Khvylovy. 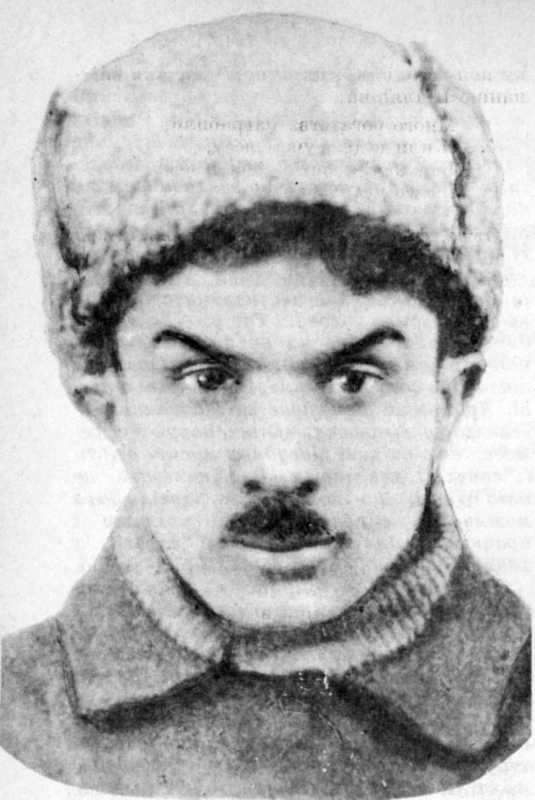 In April 1933 the secret police arrested Michael Jalovyi – formero head of Vaplite, closest companion and ally of Khvylovy. Jalovoy – as the Marquis de Posa in Schiller's tragedy, died in prison. And Khvylovy – as Don Carlos for the same tragedy – committed suicide, do not fall in the hands of executioners. For Ukrainian Communists who wanted to preserve some independence, there was no place in Stalin's empire. After the death of Khvylovy campaign of his harassment and persecution has intensified. All writer's works were banned and removed, his name was subjected to a complete ban. Reprints of his works and study his works were possible only on emigration, and only since 1989 his works began to return to the readers in Ukraine. But as result of communist terror against the Ukrainian culture we have no autographs of writer (from his works we know only that Khvylovy was able to publish during his lifetime), does not have his correspondence, very little is known for his biography of documents and memories of him. Khvylovy did not have time to realize his creative potential, besides, he always had to adapt his vocation – writing about the revolutionary liberation struggle of the Ukrainian people – to the conditions of the Russian Communist (anti-Ukrainian in essence) occupation regime. All this remember reading his works. Kostyuk G. Meetings and farewells. – K.: Torch, 2008, v. 1, p. 262 – 296. Khvylovy M. Works in 2 volumes. – K.: Dnepr, 1990. Pljusch L. His secret, or "Great bed" of Khvylovy. – K.: Fact, 2006. – 872 p.
Hunting for "Woodcock". Declassified Khvylovy. – K.: Tempora, 2009.